October was gone in an instant and November already has one foot out the door. Instead of writing and reading, I was very busy studying for the GRE and applying to MFA programs. I hadn’t done geometry since high school, and hopefully that was the very last time I’ll have to study math again. I had to seek out professors I hadn’t talked to in over a decade for letters of recommendation. I had to refresh their memory of who I was, what I did in their classes, and what I’ve been working on since then. Somehow, I put together a portfolio of my best short fiction. It’s very difficult selecting “the best” of anything. I crafted a statement of purpose, which includes what I write, why I write, what I want out of an MFA, and what I can possibly contribute. These posts by Carmen Maria Machado and Cady Vishniac were essential in figuring all of this out. Thank goodness for gracious writers like them. I’ve also become an assistant editor at The Review Review. Their site is an invaluable resource to both new and veteran writers alike. I’ve previously written reviews for them. Now I’m coordinating all the interviews with literary magazine editors for the site. It’s become my mission to highlight new journals that seek to publish underrepresented voices, alongside the old journals who have been around for decades. 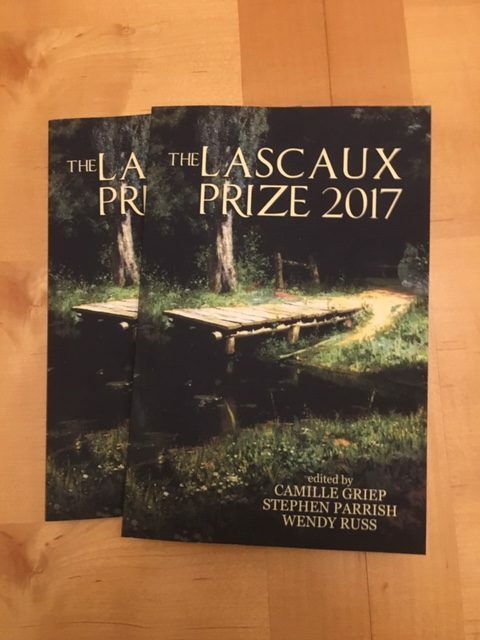 I received my contributor copies of the Lascaux Prize 2017 anthology. My poem, “Heathens at Thanksgiving,” was a finalist and was included in its pages. You can order a print or digital copy. Unfortunately, some of the hellos I’ve gotten to say lately have come with goodbyes. This week, we lost my grandma on my dad’s side. 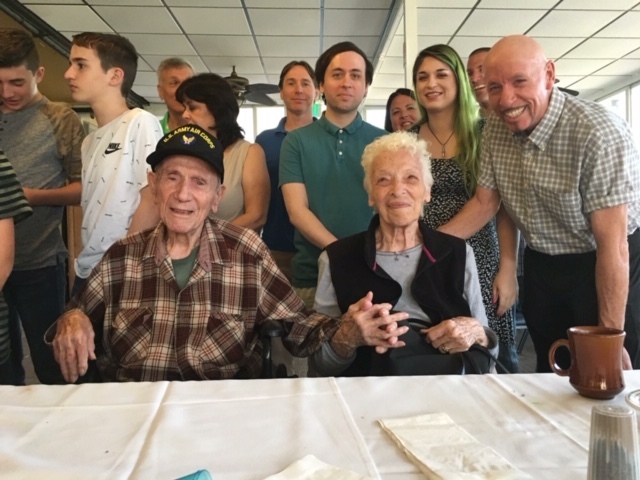 Grandma had just celebrated her 90th birthday this year. It is a very unreal feeling when someone you’ve known your whole life is suddenly no longer a part of it. I remember watching The Price Is Right with her when I was little. I remember her excessive cheek kisses and her dance moves at parties. I remember all her Italian-isms: bicciuridu (my little baby), stunad (idiot), gifu? (what’s wrong?). Lots of mangia, of course. How she always cooked huge Italian meals for Christmas, every kind of chicken and pasta, the scungille (shellfish) and bruppu (octopus). How all my little cousins loved the octopus and how I didn’t trust it. I will miss Grandma, but I’m very glad she lived a long life. I’ve got some good genes.